3 resealable and reusable Snack Bags. Freezer safe, microwave safe, food safe & BPA free. Size: 16.5cm x 8.5cm. 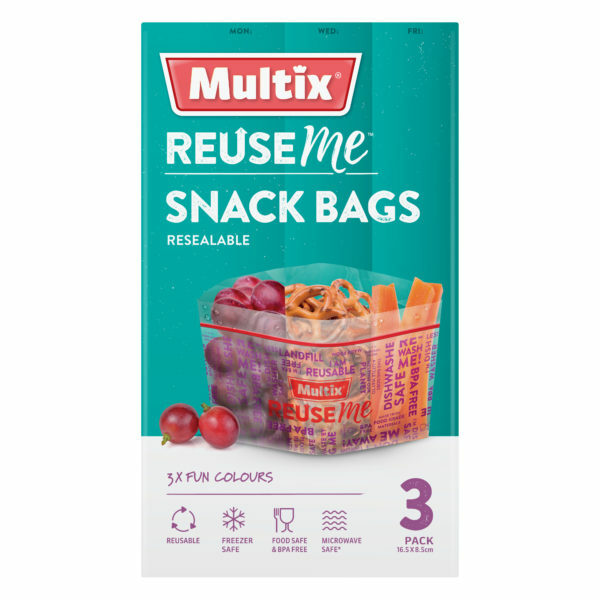 Say goodbye to the days of running out of snack bags with Multix ReuseMe™ resealable Snack Bags, just pop them into the dishwasher and they’re ready to go again. ReuseMe™ Snack Bags are freezer safe, microwave safe, food safe & BPA free.